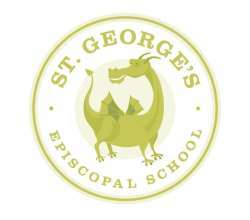 Classes at St. George's Church are held in Kleburg Hall, on the south side of the church complex. The church is at the Southeast corner of I-35 and Airport Blvd. Head north on the I-35 access road from 38th street. The parking lot for Klegurg Hall will be on your left after a few hundred feet. If you miss the turn on Ardenwood, take the next right on Crestwood. Take the next right on Parkerwood. Follow this road around to the right until it doubles back to become Ardenwood. Kleburg Hall and it's parking lot will be on your right after several hundred feet!.